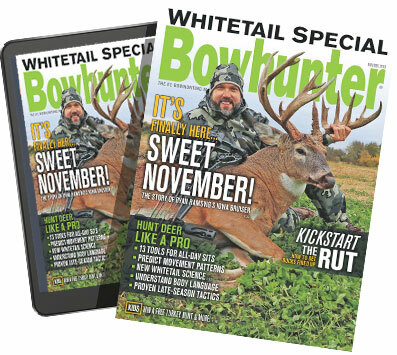 There is little doubt that 2018 was indeed the year of the bowhunter – certainly the fall months, anyway. First, there was Luke Brewster’s pending Pope and Young Club non-typical world record whitetail from eastern Illinois – a massive buck that is also the Boone and Crockett Club’s pending hunter-harvested world record whitetail – taken early last November. If news of Brewster’s huge whitetail bow buck is not enough, then how about the news of recent days when the Pope and Young Club announced panel scoring confirmation of the largest bow-killed bighorn sheep ram in history? That 209 1/8-inch ram, arrowed in South Dakota on Oct. 30, 2018 by Mount Rushmore State bowhunter Clayton Miller, is also the largest bighorn ram ever harvested by a hunter in either the P&Y or B&C record books. But that’s not the end of the current run of news about world class big game animals harvested by bowhunters last fall. Because according to a Pope and Young Club news release, there’s also a new world record non-typical mule deer ready to upend the bowhunting record books. According to P&Y, the Club convened a special panel of judges on Jan. 9, 2019 in Regina, Saskatchewan to confirm the measurements of Dennis Bennett’s massive non-typical mule deer that he arrowed last fall on Oct. 1, 2018. When the smoke cleared from that gathering of official measurers, the huge buck – a 5X5 typical with a reported 15 abnormal points per side – had been acknowledged as the new P&Y World Record non-typical mule deer. Sporting a gross score of 303 0/8 inches and a net score of 291 1/8 inches, the Bennett buck surpasses the former world record non-typical mule deer by 16 2/8 inches, a mark that had stood since Ronald Reagan was President of the United States. Incidentally, that previous world-record mule deer buck, a massive non-typical taken by archer Kenneth Plank, scores 274 7/8 inches and was taken on a spot-and-stalk bowhunt in the plains of eastern Colorado back in 1987. But it now takes a backseat as the No. 2 mule deer after Bennett’s amazing mule deer harvest last fall. Bennett’s amazing hunt came on Oct. 1, 2018 after he got an early start bowhunting near the Arm River in Saskatchewan. He eventually closed to within 44 yards, but the chance to arrow the deer seemed lost when a smaller buck erupted from its nearby bed, causing both deer to bound up and away over a hill and into some trees. Returning to the area later in the afternoon, Bennett gave the world class buck time to settle back down before he started spot-and-stalk hunting again, according to the Pope and Young news release. In a depression near where the buck had last been seen that morning, the bowhunter edged along a fence line along the top of the hill and eventually closed to within 37-yards as he prepared to attempt the archery shot of a lifetime. As the buck browsed slowly, put its head down and stood broadside, Bennett ranged the mule deer. When he cut the shot from his bow, the steep shot angle caused by the hillside caused the arrow to hit the buck a bit higher than anticipated. But the shot proved to be lethal near the spine, reportedly dropping the massive buck before it rolled down the hill approximately 50 yards. After Bennett recovered the massive buck, the process was jumpstarted for a journey that would lead to a new world record being declared by P&Y. First, his buck had to dry for the Club’s mandatory 60-day drying period before an entry score could be obtained by an official measurer. Once that entry score had been submitted, the Bennett buck was then accepted into the Club’s 31st Recording Period (for entries accepted into the P&Y Records Program from Jan. 1, 2017 until Dec. 31, 2018). And a few weeks ago, the Bennett buck received its panel judging score on Jan. 9, 2019, making it officially the new bowhunting benchmark for a non-typical mule deer buck. 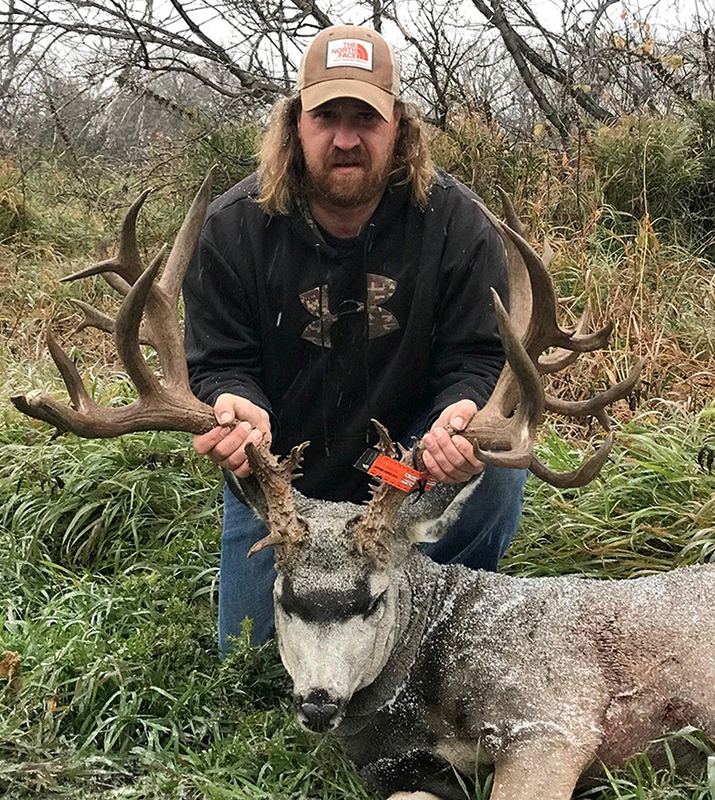 Along with the Miller bighorn sheep ram and potentially, the Brewster non-typical whitetail, Bennett will have his world record mule deer on display at the Pope and Young Club’s 31st Biennial Convention this April in Omaha, Neb. At that convention, in addition to possibly announcing panel judging results for the Brewster buck, P&Y will give out numerical awards and honorable mentions to the most outstanding bow-harvested animals in each species category that have been entered during the previous two-year recording period. According to P&Y, new world record big game specimens like the Bennett buck will be on display and awards will be presented to those outstanding animals and the bowhunters fortunate enough to take them. There is also the potential that the Ishi Award, the highest honor given out by the Pope and Young Club, could be awarded at the 2019 convention.